There are many who believe that the book of revelation is too difficult to understand. If this is so, why then did god reveal to many of his servants the need to read it and also to understand what he has given us. The serious reader will recognise that there is much in this book that is quite different from any other portion of scripture. We must however appreciate that this is God’s final message and as such there is nothing that he will change in any way. He remains the unchangeable almighty lord of all. It is only mankind that changes. The last chapter of this special book reveals absolutely essential teaching concerning the trinity, and this is that the lord god, the lord Jesus and the Holy Spirit are all unique attributes of the Triune god. 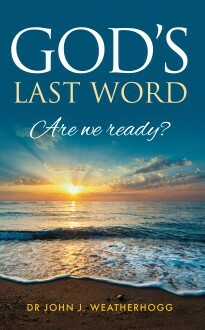 In this final chapter, the lord god warns us of our absolutely urgent need to be ready, and gives the final severe warning – “surely I come quickly”. This uniqueness of the book of revelation is vastly different from any other book that has ever been written. It stands alone. It reveals god’s plan for the future and warns us of the terrible consequences of those who ignore the rightful claim of our Almighty holy god.